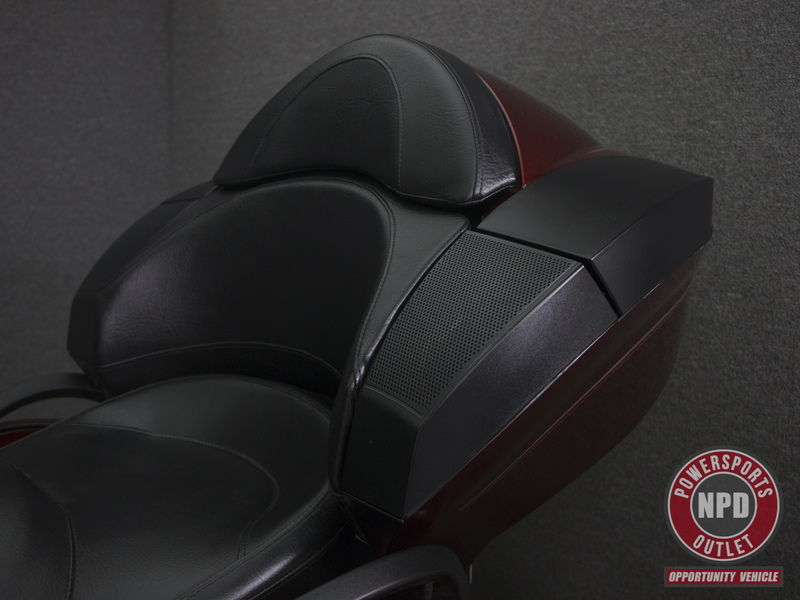 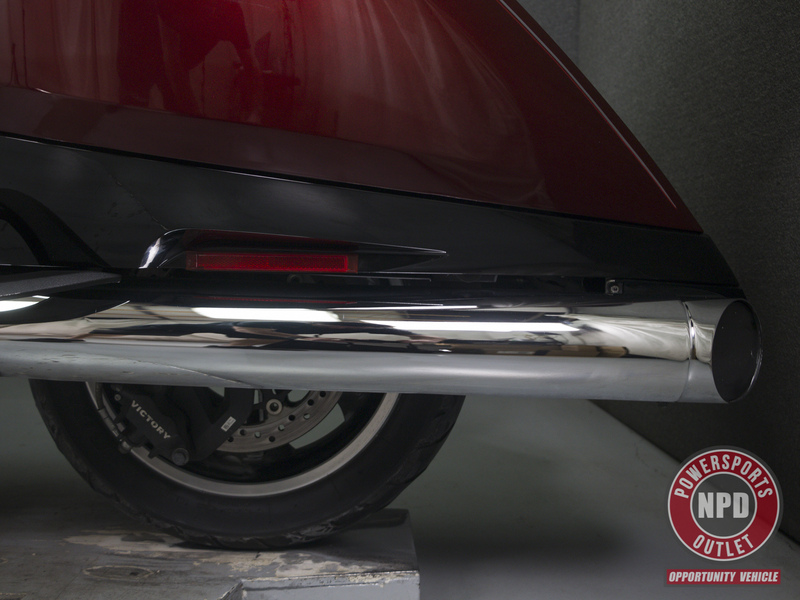 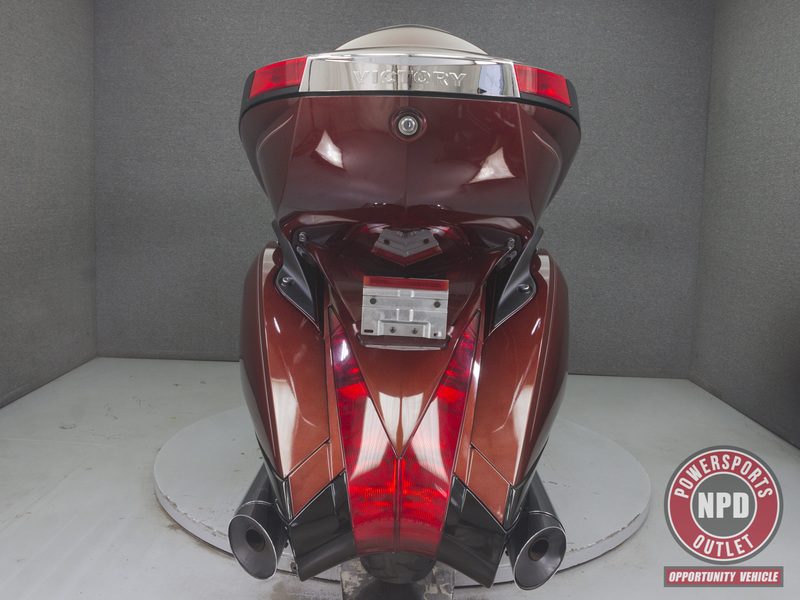 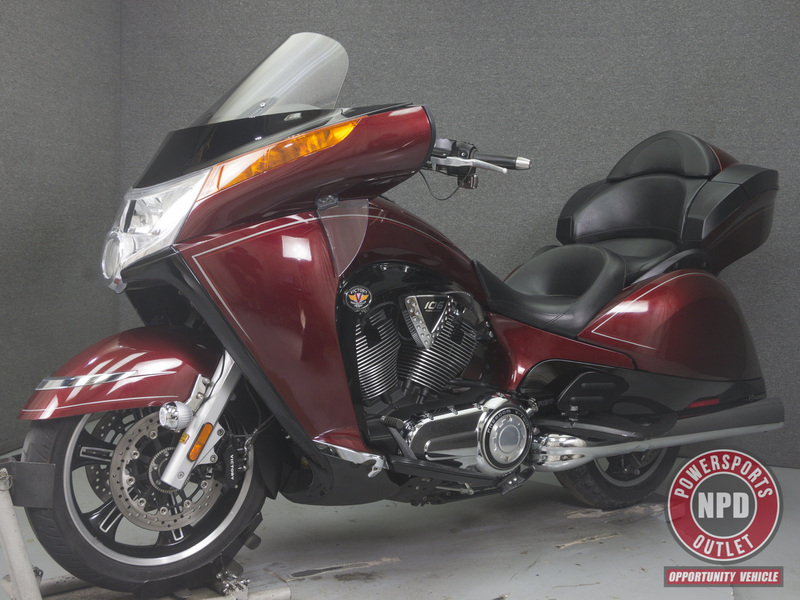 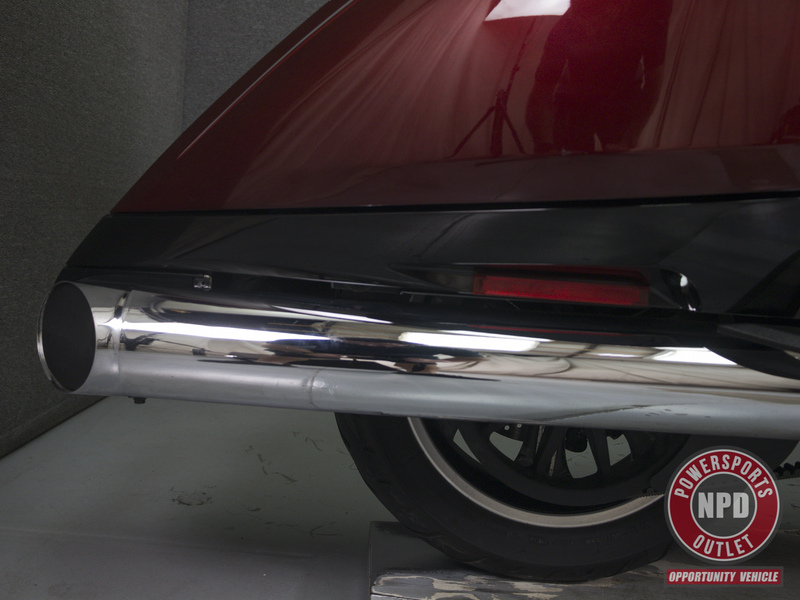 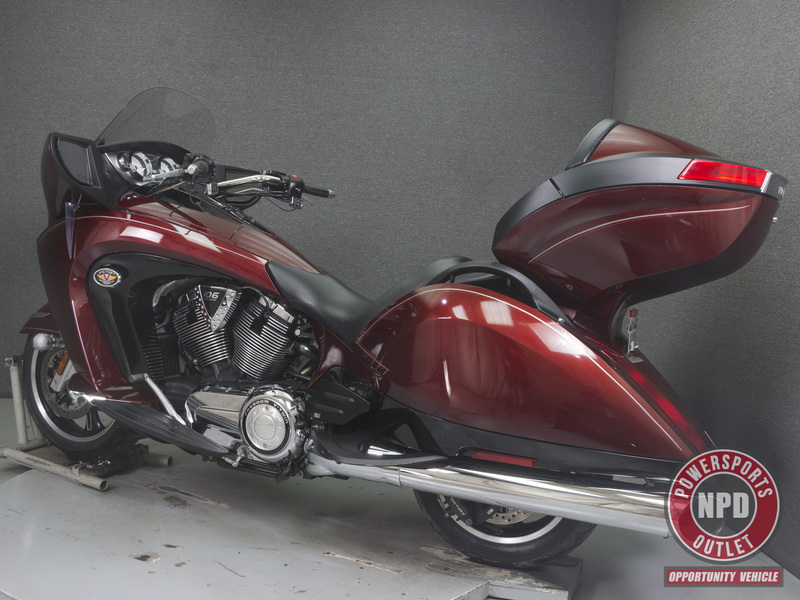 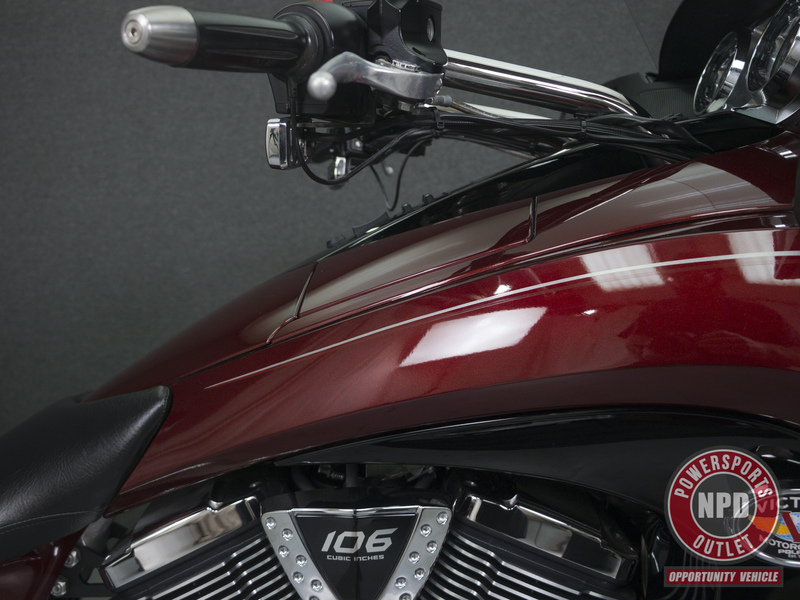 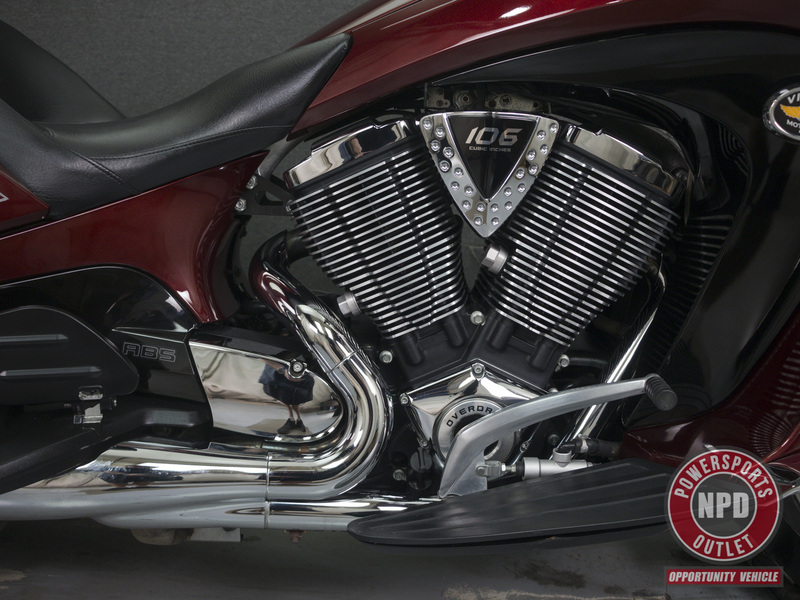 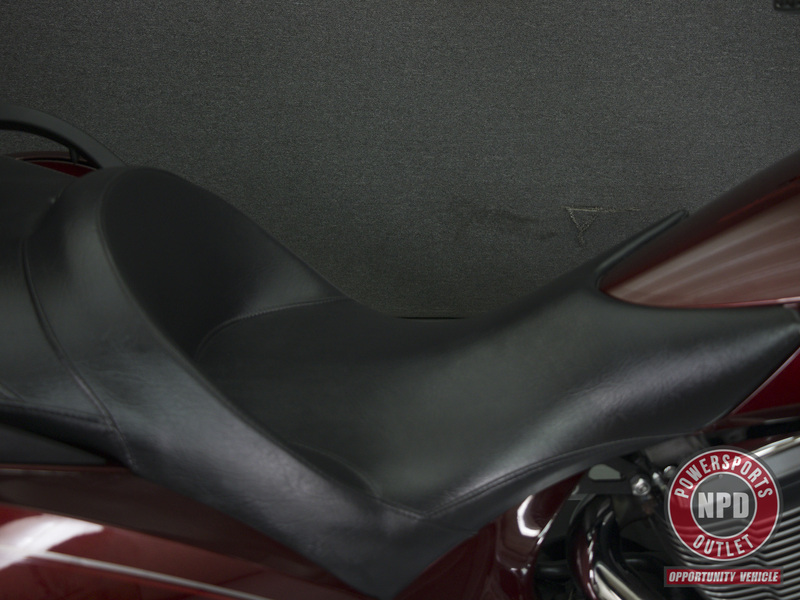 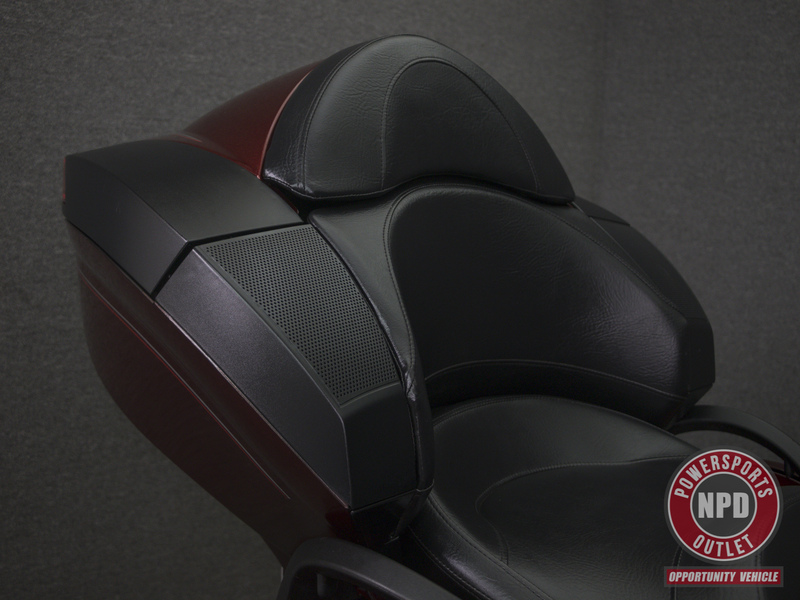 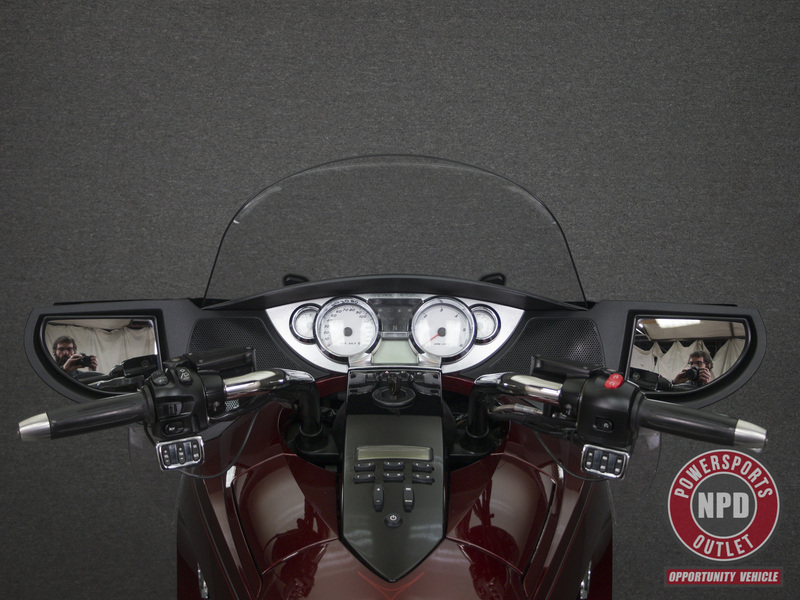 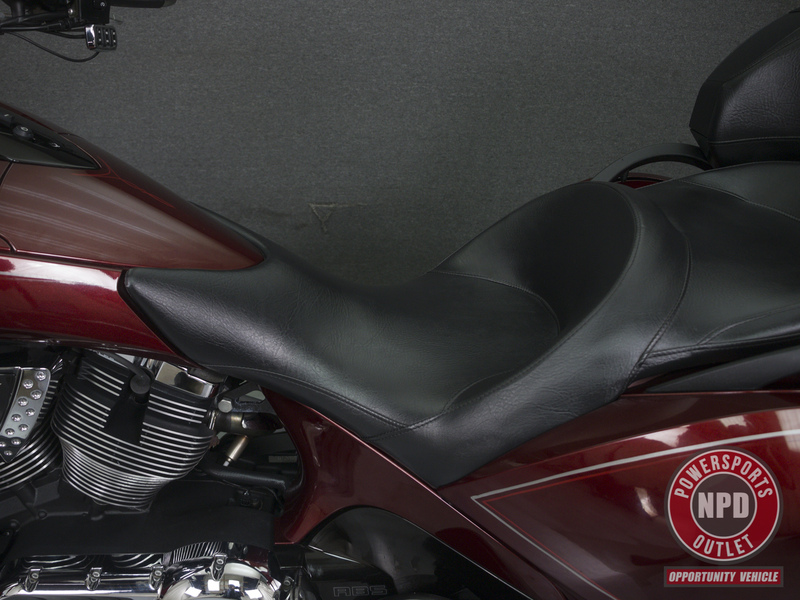 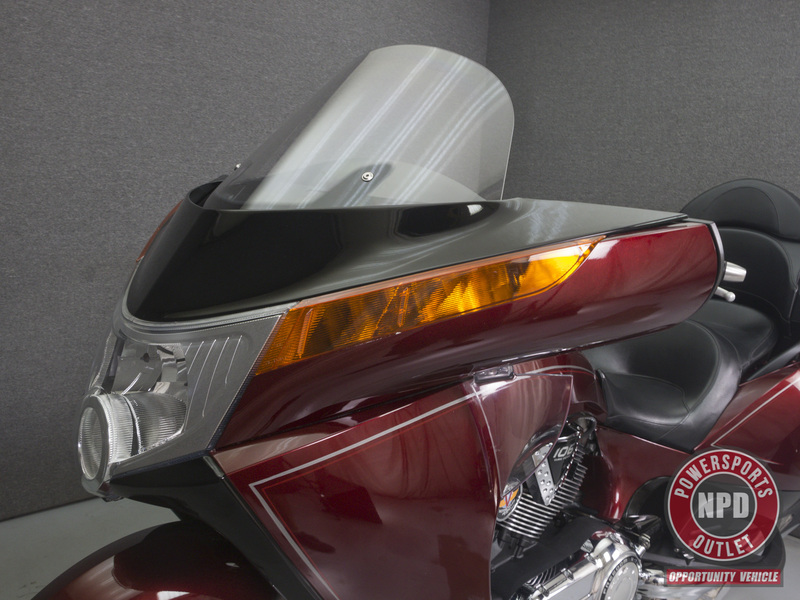 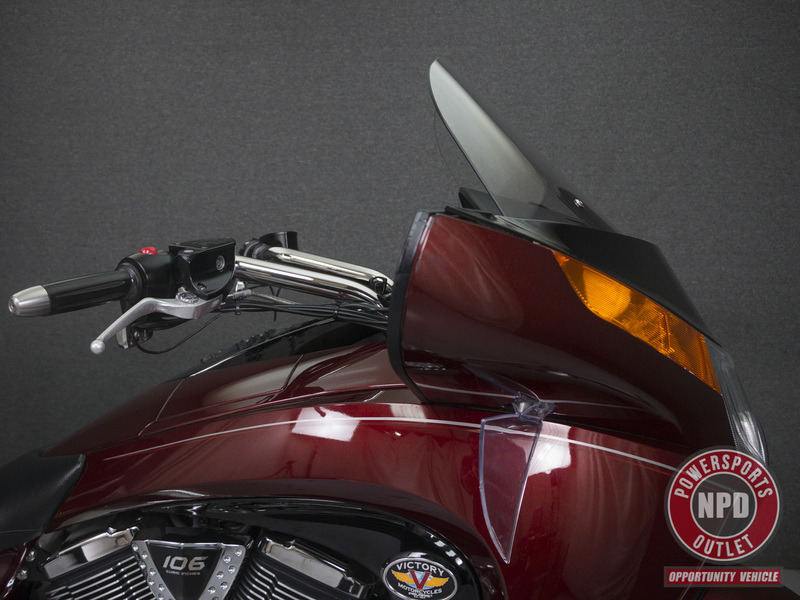 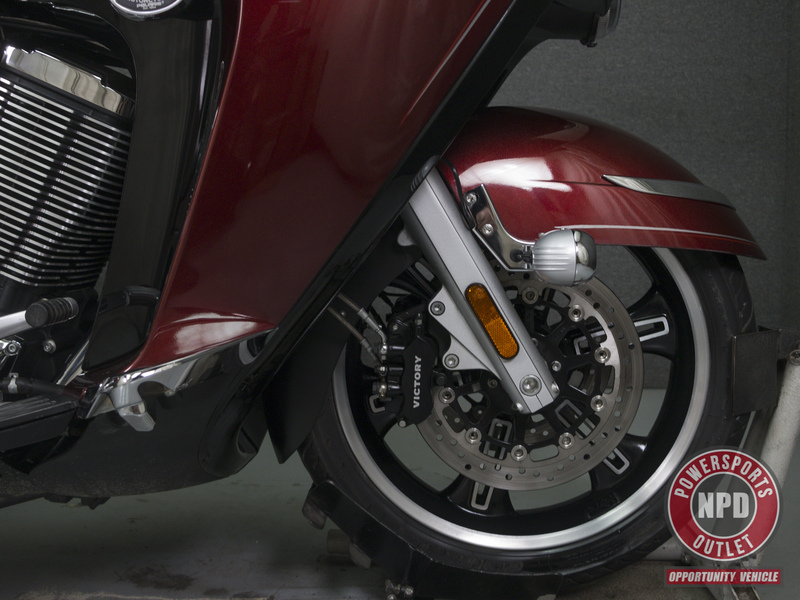 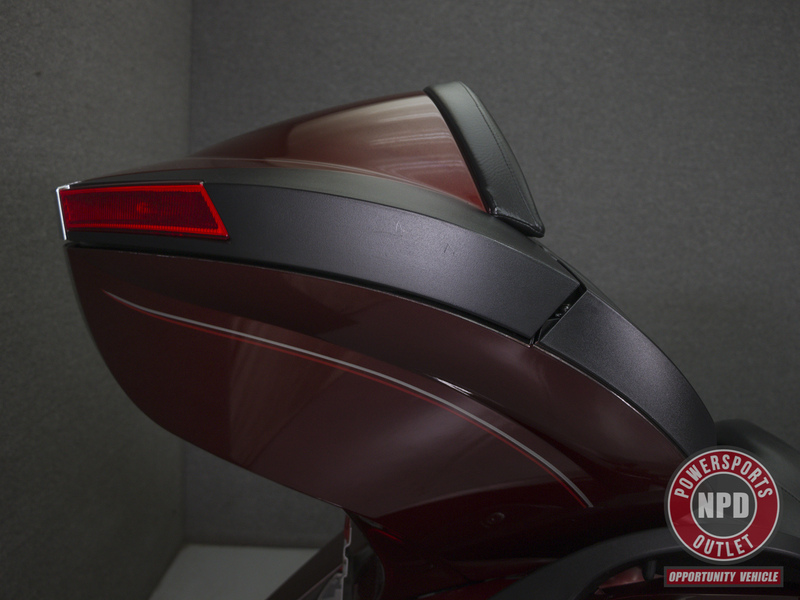 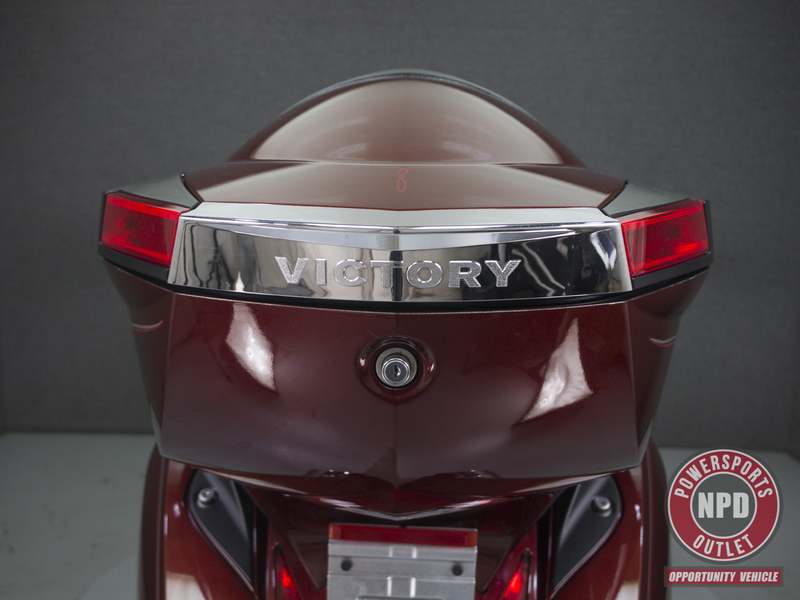 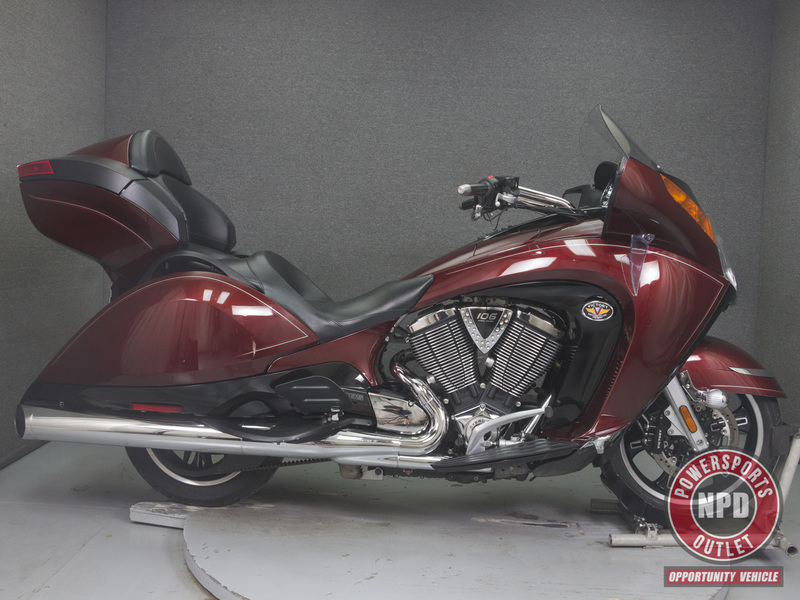 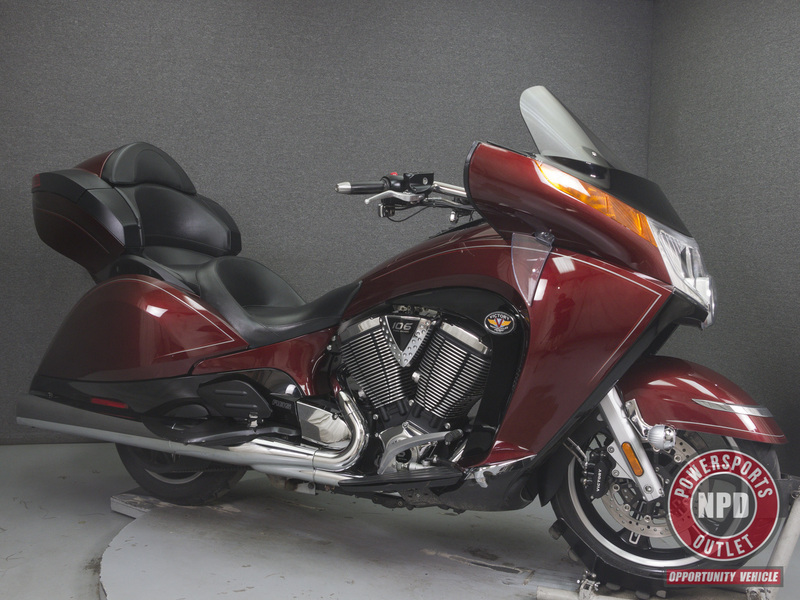 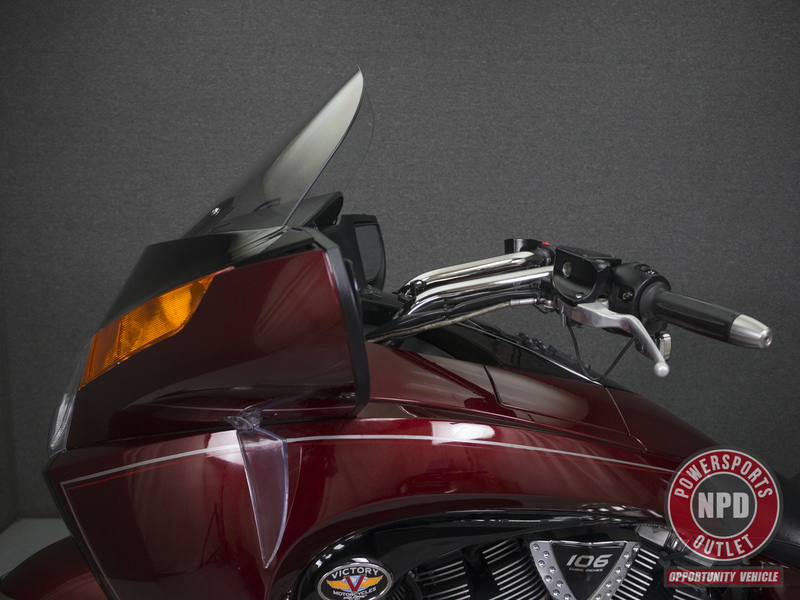 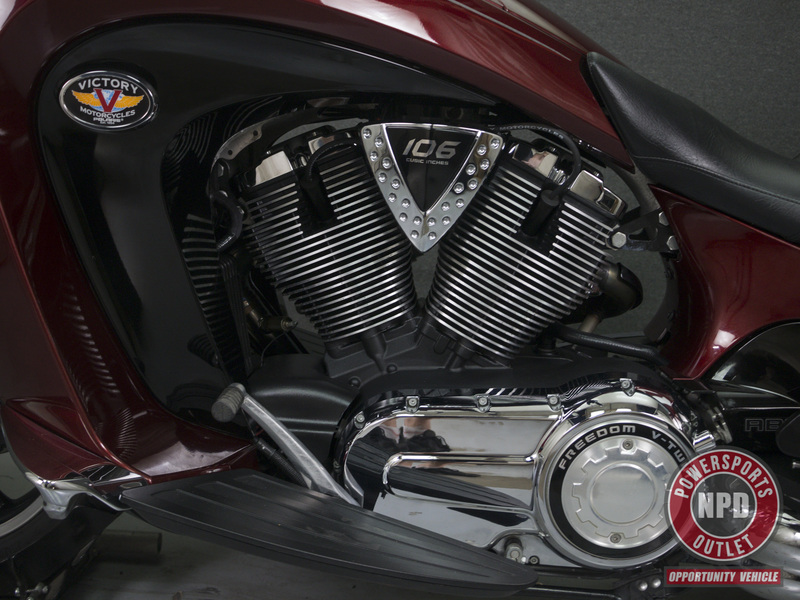 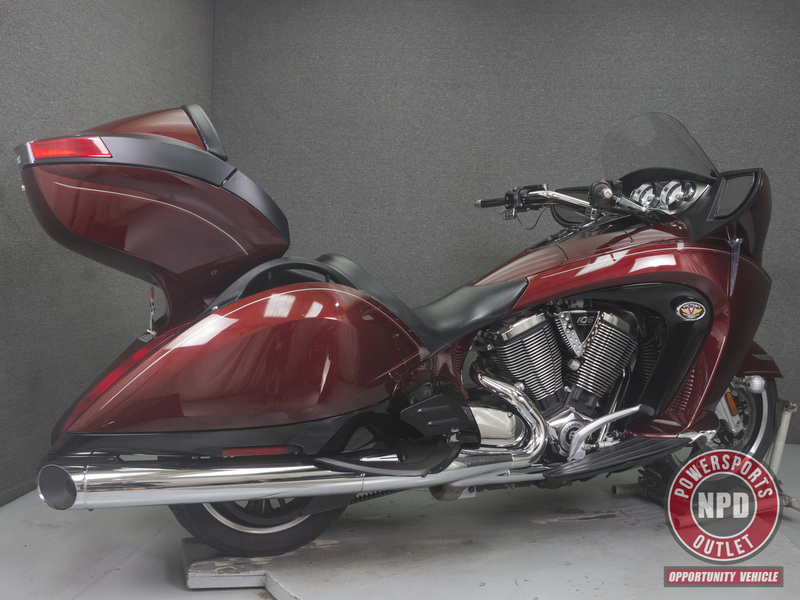 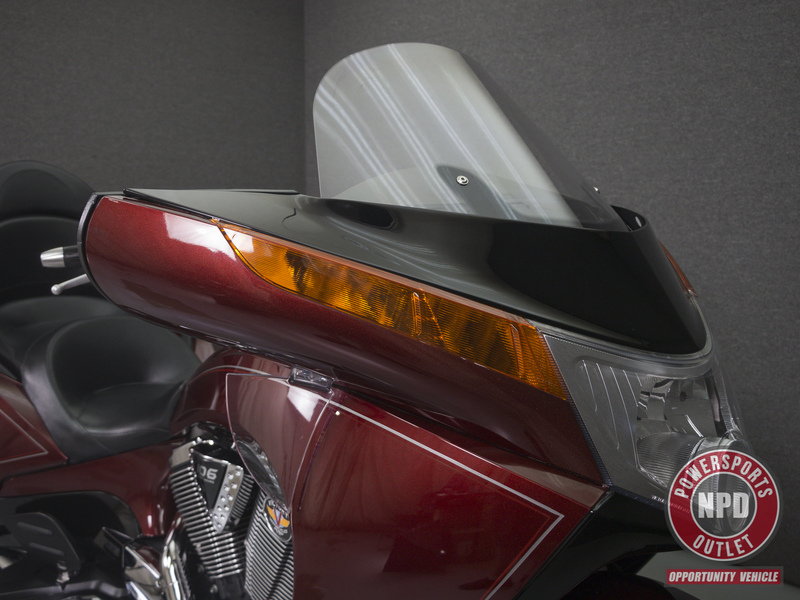 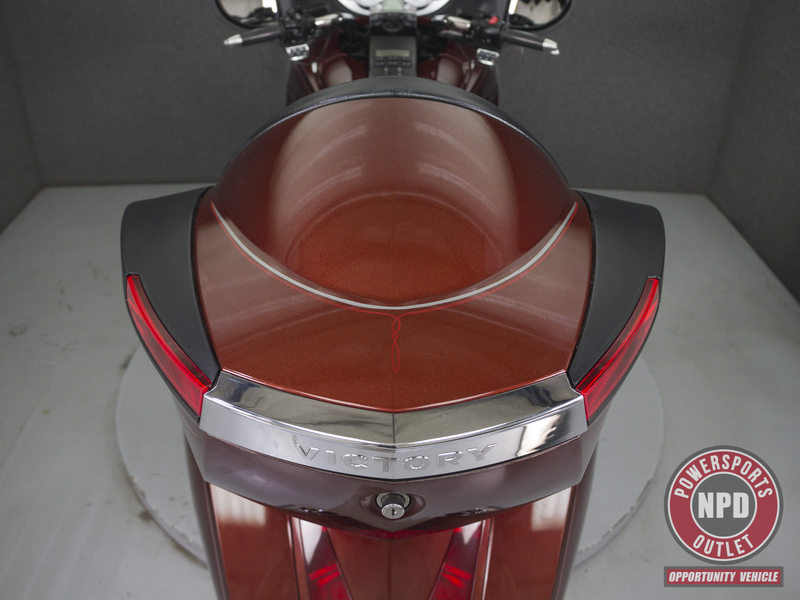 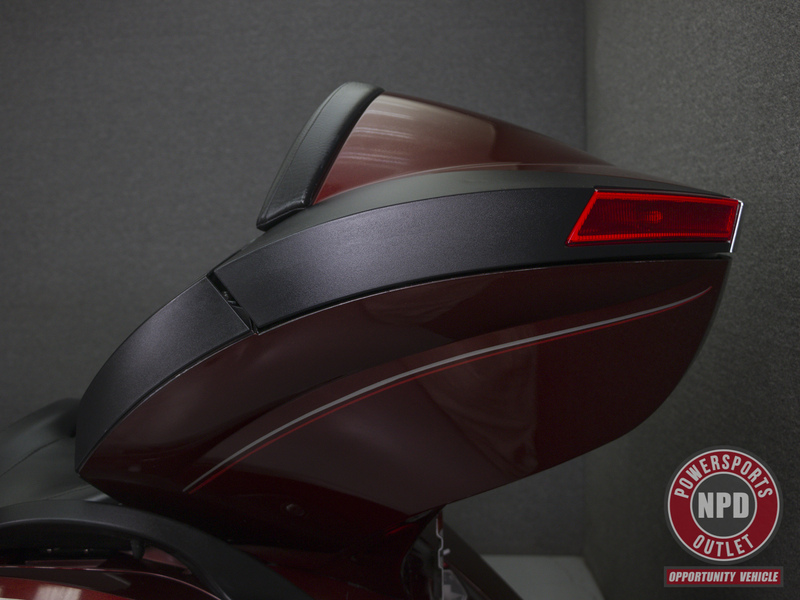 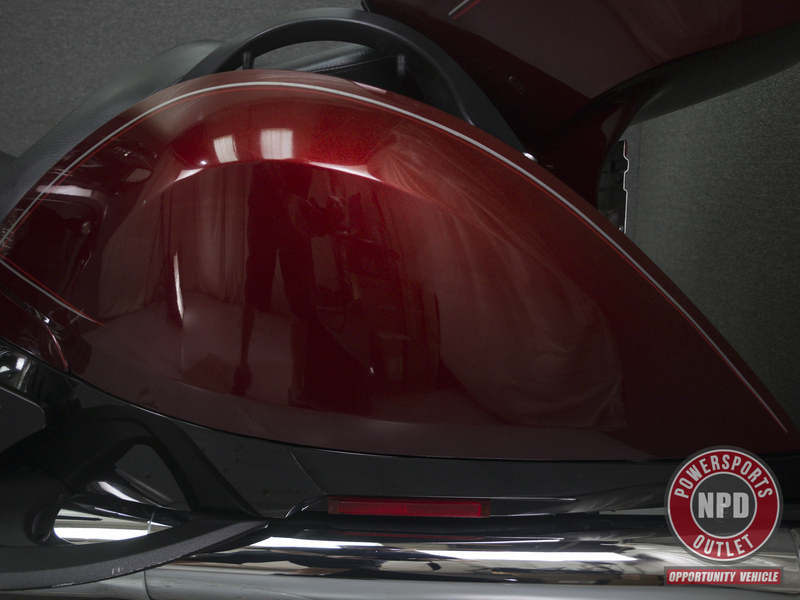 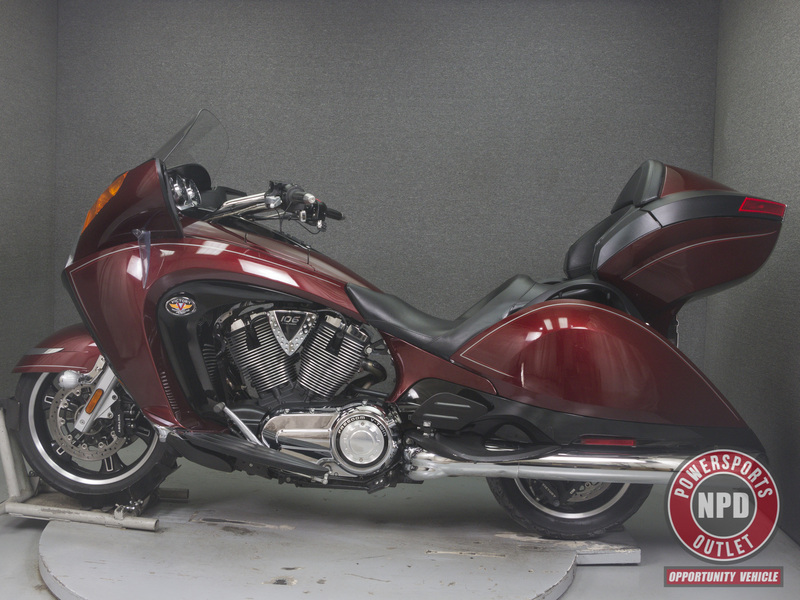 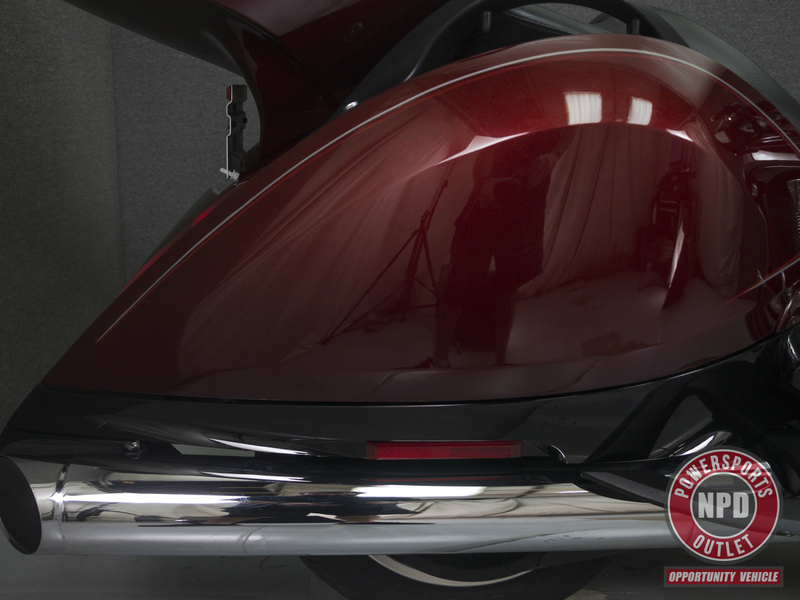 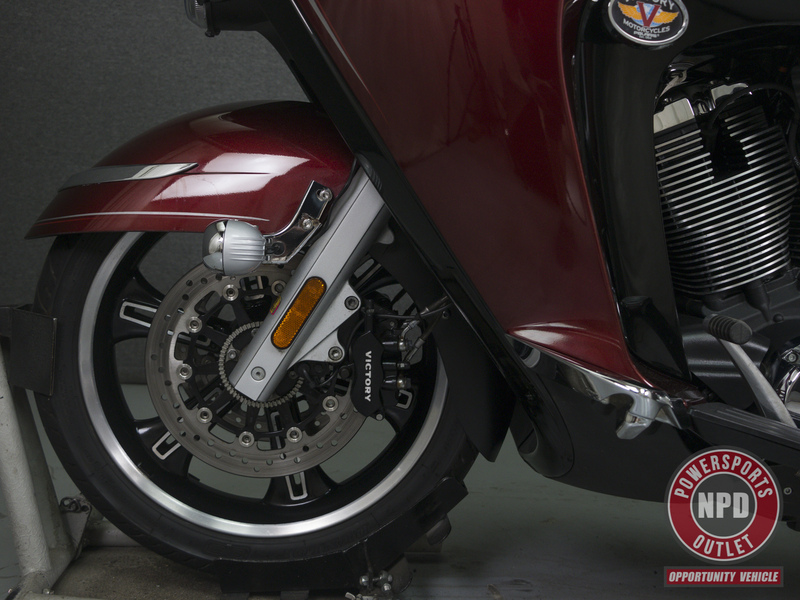 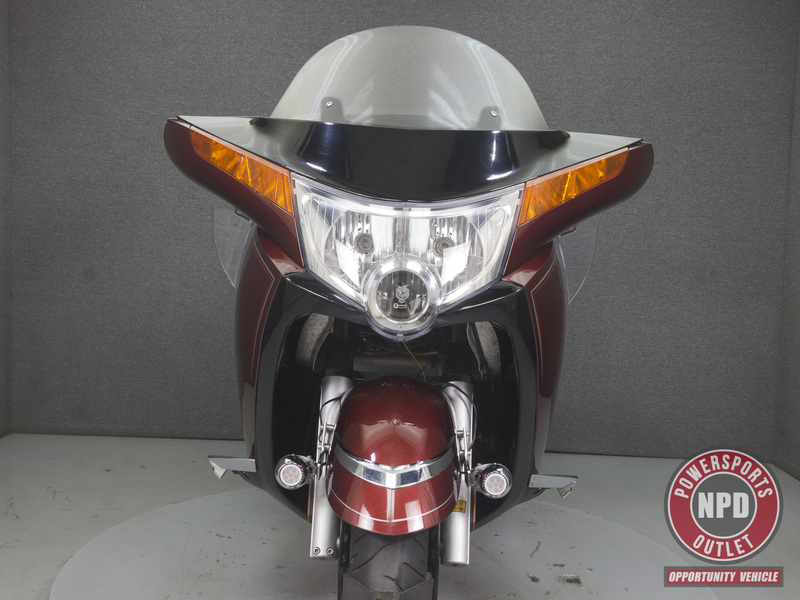 This 2011 Victory Vision Tourer with 13,416 miles has been detailed and passes NH State Inspection. 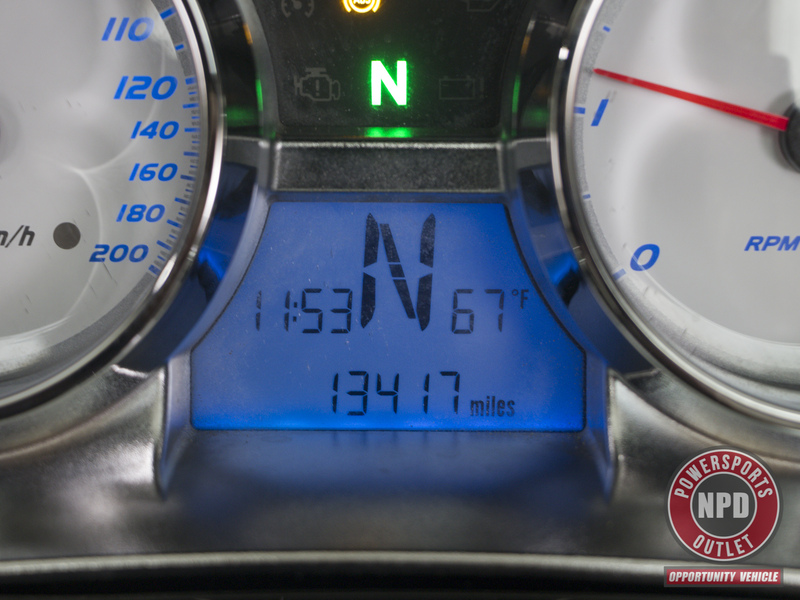 It runs, rides, and shifts well, though our technician noted the cruise control is inoperable. 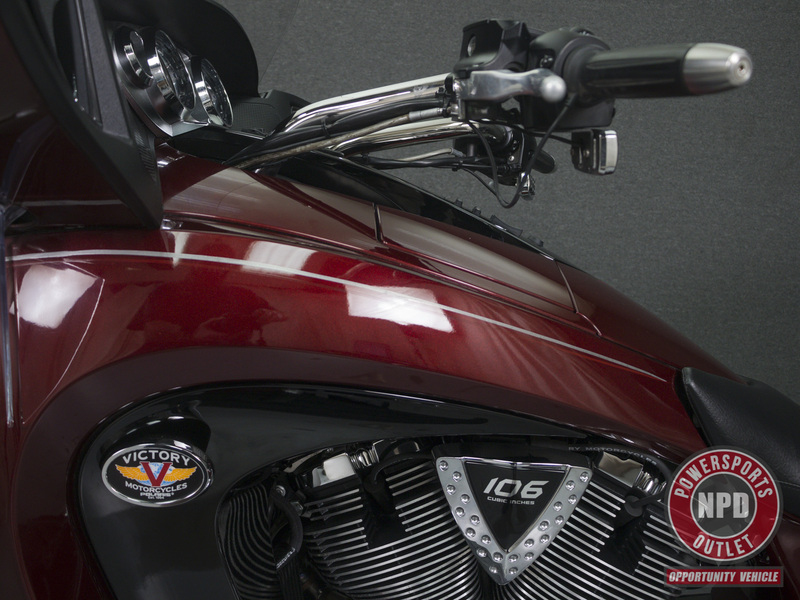 Powered by a 105 cu/in engine with a 6-speed transmission, the Vision puts out 88 horsepower and 105 foot-pounds of torque. 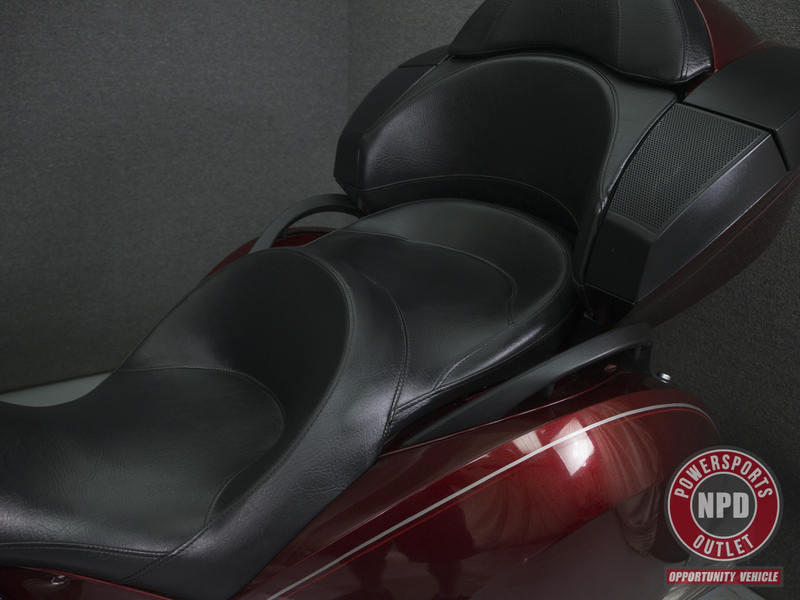 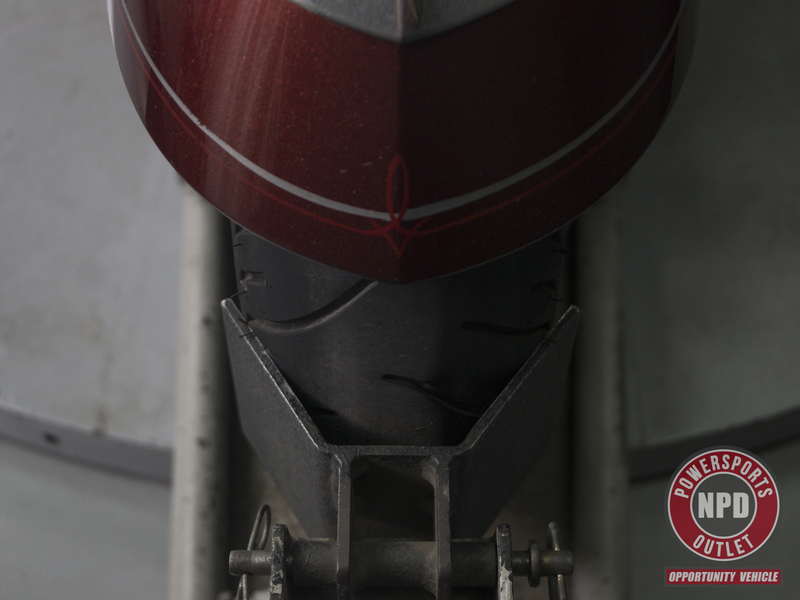 It has a seat height of 26" and a dry weight of 870 lbs. 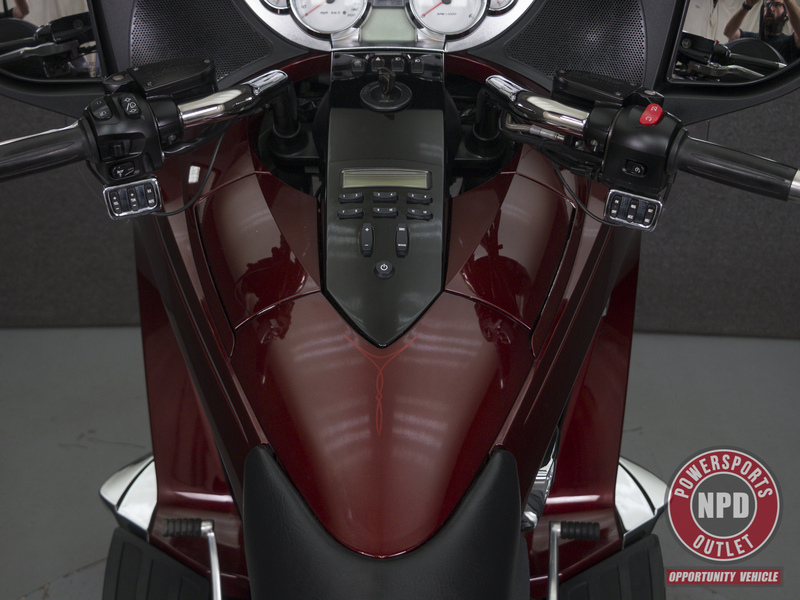 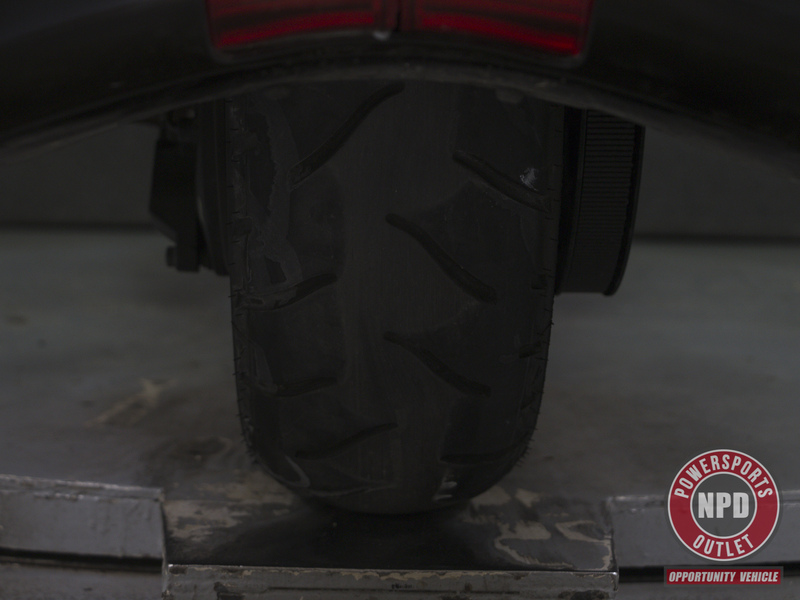 This bike comes equipped with a multi-function 4-speaker stereo system, an electronically adjustable windshield, ABS, heated grips, and heated seats. 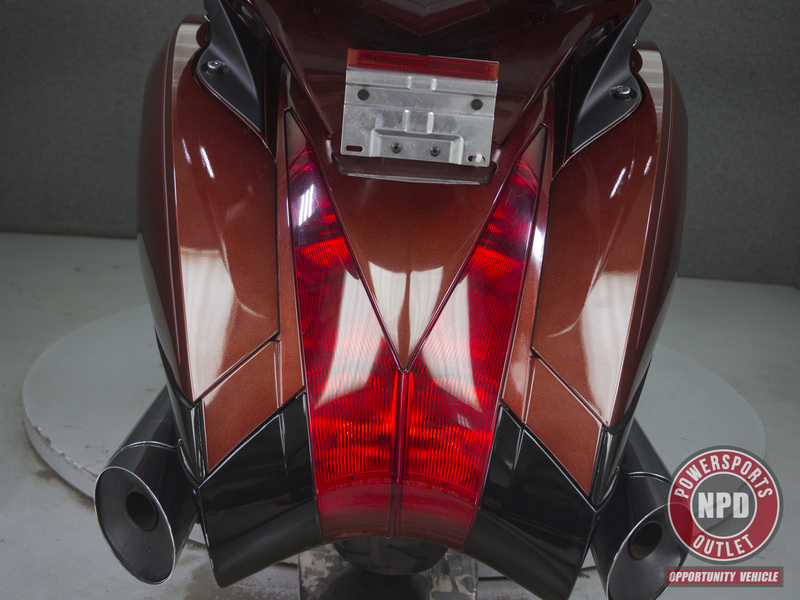 It has been upgraded with driving lights.